As a Board member of the US Association for Community Networking, I was a representative to the first Global Community Networking Congress in Barcelona in 2000, and the second Congress in Buenos Aires in 2001. Representatives form North and South America, Europe, Africa, Asia, Australia and New Zealand gathered to share ideas, technolologies and methods; to discuss difficult issues; and to prepare working and action agendas for the forthcoming UN and ITU convened World Summits on the Information Society, that would be held in Geneva in late 2003, and in Tunis in late 2005. 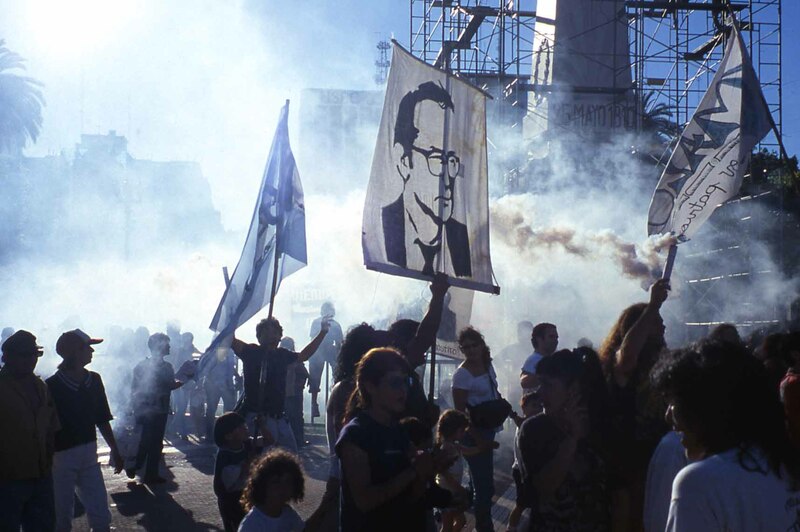 The meeting in Buenos Aires occurred at the beginning of a financial and banking crisis in Argentina. Gas bombs fill the air around protesters in central Buenos Aires.